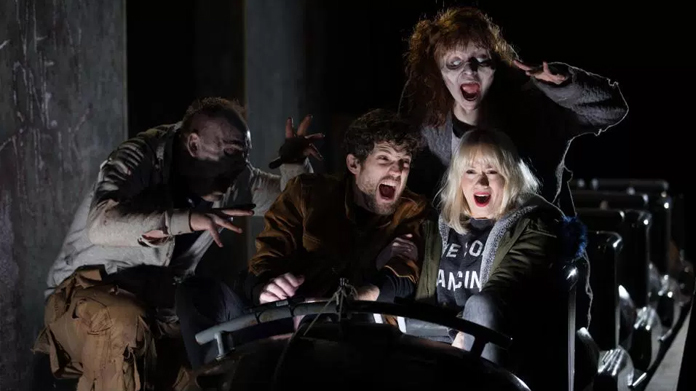 In the latest slightly odd turn of events for the team at Hope&Glory, we found ourselves launching Thorpe Park’s latest roller coaster – Walking Dead-themed ride at the park which is set to scare the wits out of theme park fans. In a bid to come up with a new spin on the zombie / walker story, we dreamt up the idea that we should be able to capture riders’ screams and turn them into energy. Reminiscent of a certain animated film you could be familiar with. So it was that we found ourselves at the park with a couple of scientists from Queen Mary’s University in tow having successfully harvested the energy of screams to turn into electricity. With some cheeky pics and a spot of video of the new contraption in action on the ride we nailed some pretty decent national coverage.